Rules and regulations regarding confined spaces can be confusing for many workers and even employers—and understanding what’s required can be the difference between life and death. Luckily, CoatingsPro published a guide to confined spaces in its March issue. 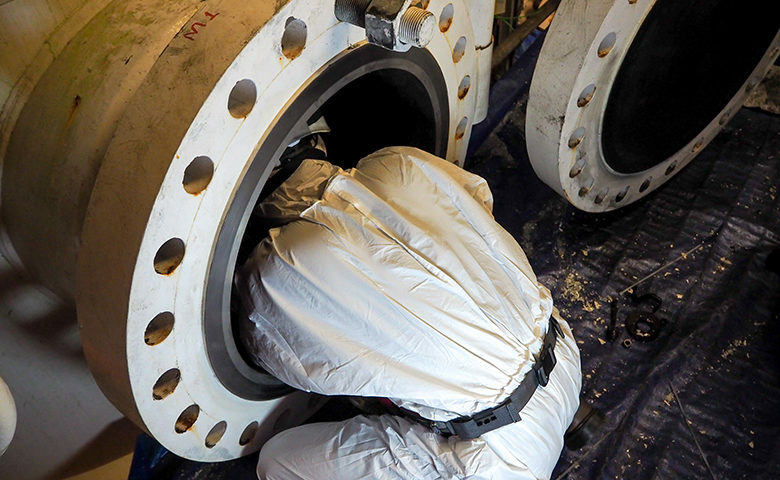 The article, entitled “Confined Spaces: A Primer for Coatings Professionals”, covers foundations of the topic as it relates to all industries. This comprehensive read is an in-depth dive into confined spaces that gives readers a quick overview of a subject that can sometimes seem a little complex. are not designed for continuous occupancy. A substance or material with the potential for engulfing the worker. Inwardly converging walls or a floor that slopes downward and tapers to a smaller cross-section. Any other recognized serious safety or health hazard. Not realizing the difference between the two types of confined spaces can land employers in a lot of trouble. Sending workers into a permit required space without following the regulations is not something anyone would want on their conscience.